Far from the Supreme Court debates raging in Washington, four Harvard Law School students are taking a stand. 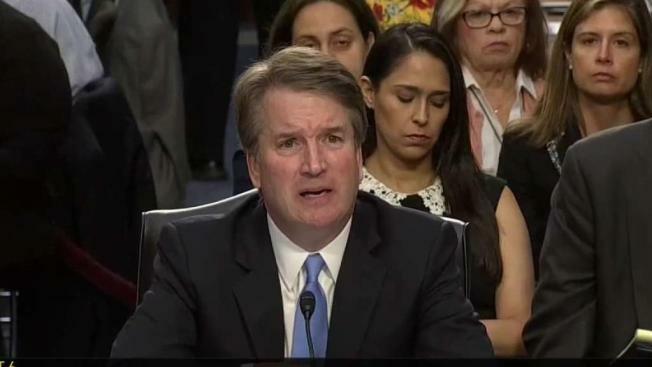 "There should be a real, full, and fair investigation before Judge Kavanaugh teaches here," Sejal Singh, a Harvard Law Student, said Saturday. According to Harvard's website, Supreme Court nominee Brett Kavanaugh is scheduled to teach a course this winter entitled, " The Supreme Court since 2005." "I think Harvard Law School does a responsibility to investigate given that Judge Kavanaugh is on their payroll," Vail Kohnert-Yount said Saturday. This week, Singh, Kohnert-Yount, and two classmates wrote an op-ed in the Harvard Law Record calling on the law school to fully investigate sexual assault claims released this week by Christine Blasey Ford. "As lawyers, process is incredibly important to us, and our goal here is not to pre-judge a process, but to make sure there is a real investigation into what happened," Singh said. Neither Harvard, nor Harvard Law School returned e-mails and calls for comment. "The dean, the administration, they owe us an answer, and I think they owe the students transparency around how does Harvard School deal with allegations of this sort," Jake Meiseles, who also co-wrote the op-ed, said Saturday.